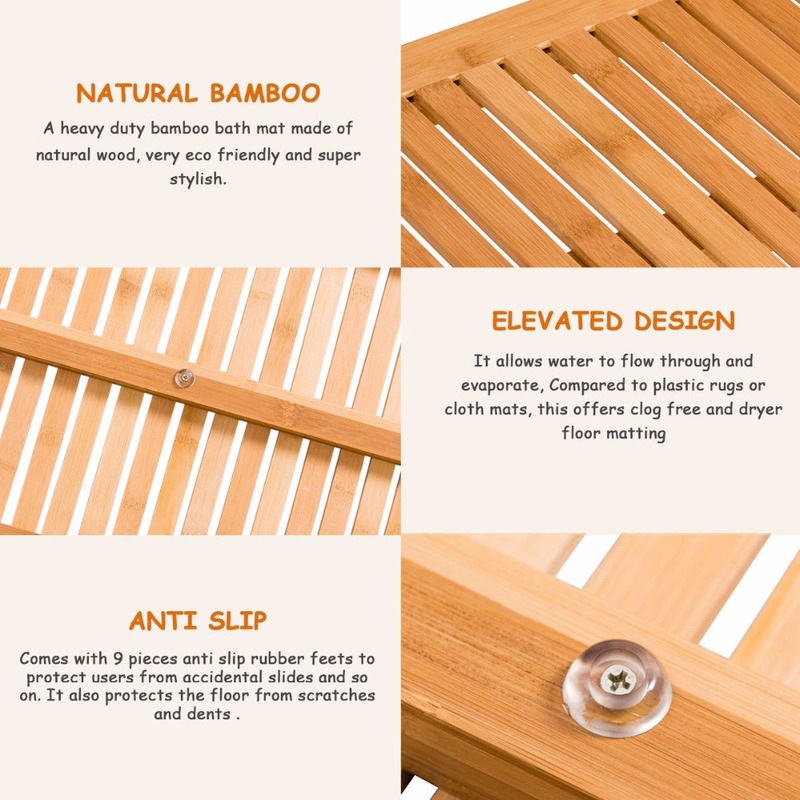 Natural Bamboo Shower Mat is sorted out from deep in the mountains and 100% natural bamboo, which can beautify your life from the ground up. 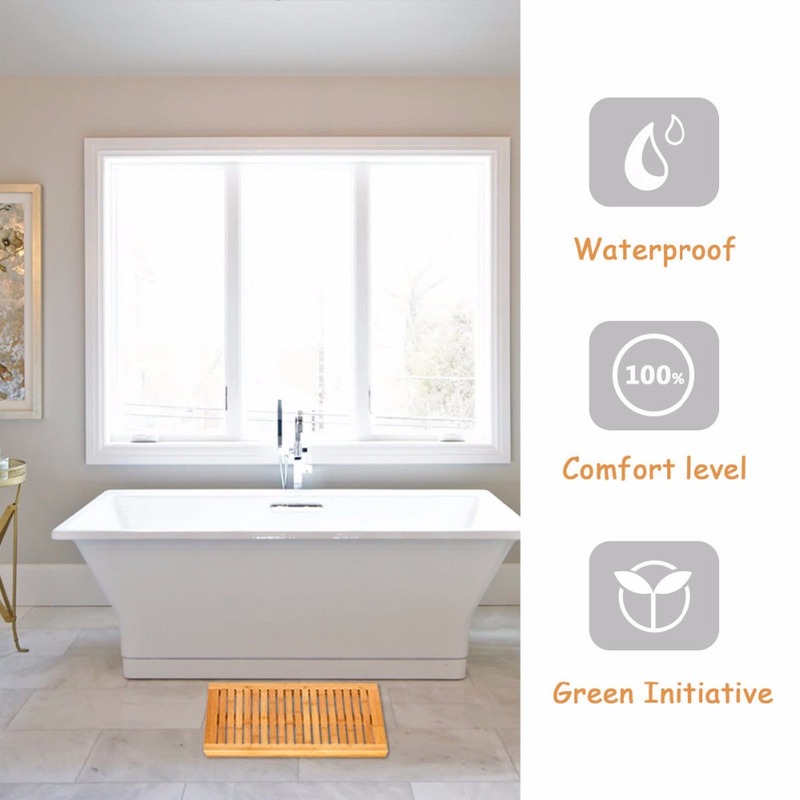 When every time you step into your home can see a clear and pleasant floor without too much wet, will you be satisfied with that? 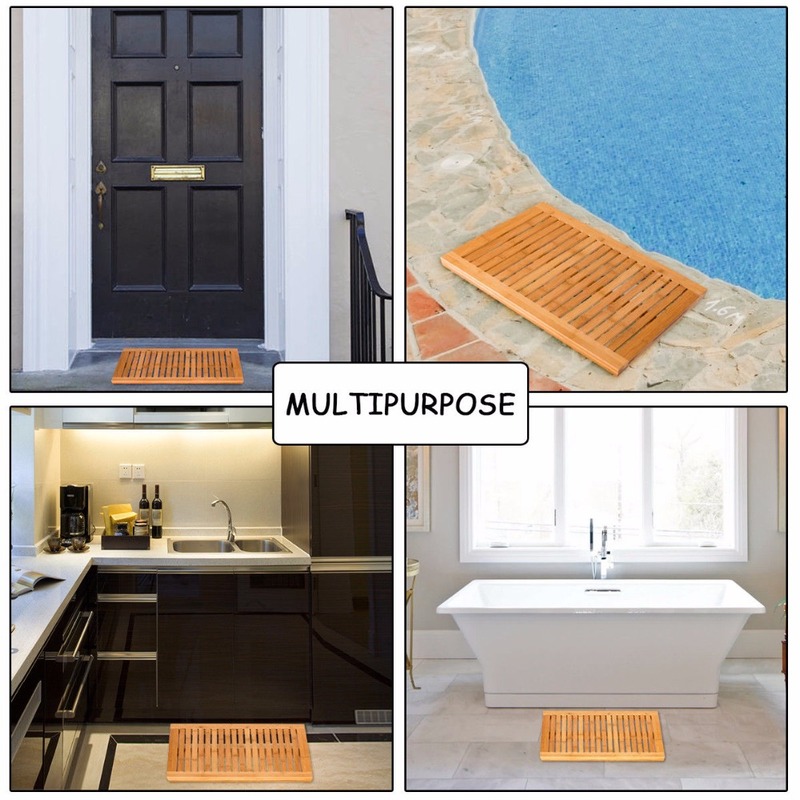 Besides, it could kindly allow house owner to put it wherever needs, such as outdoor, bathroom, kitchen and poolside. 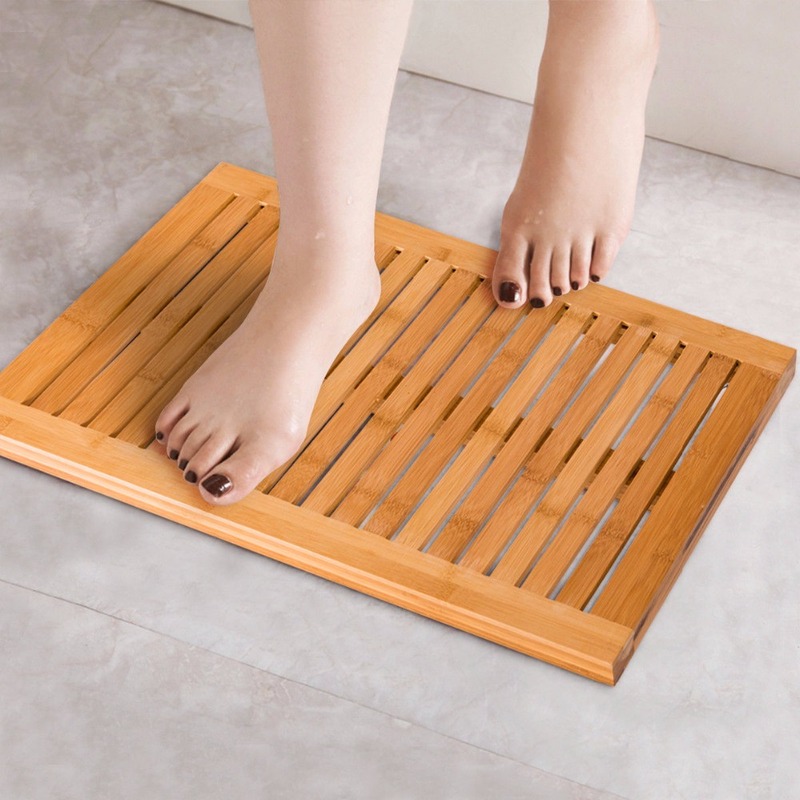 If you do not want to use it anti-slip or discharge water, it could also be a tray to hold the towers or cups when near the pool or some places wet. 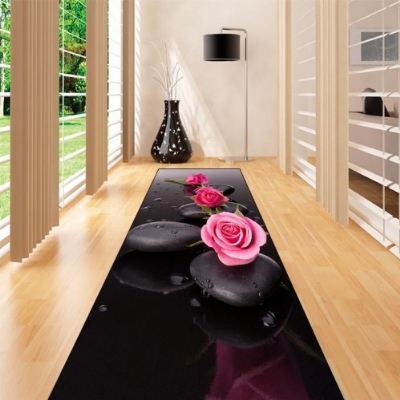 Its ability of air permeability, anti-slip and discharge water would keep you in the good mood at home. 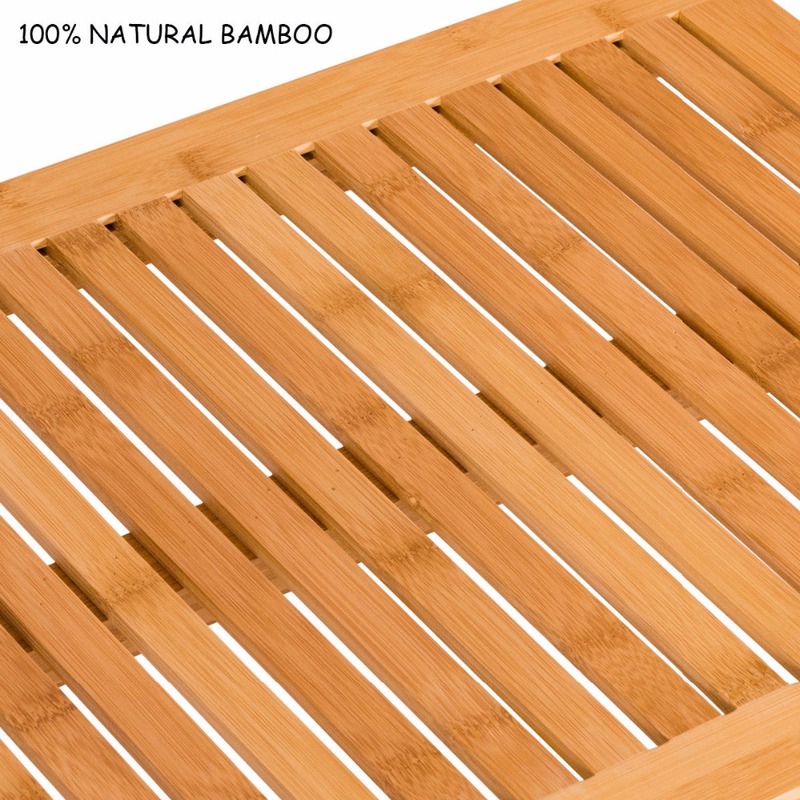 And eco-friendly material would guarantee the health of you and your family. 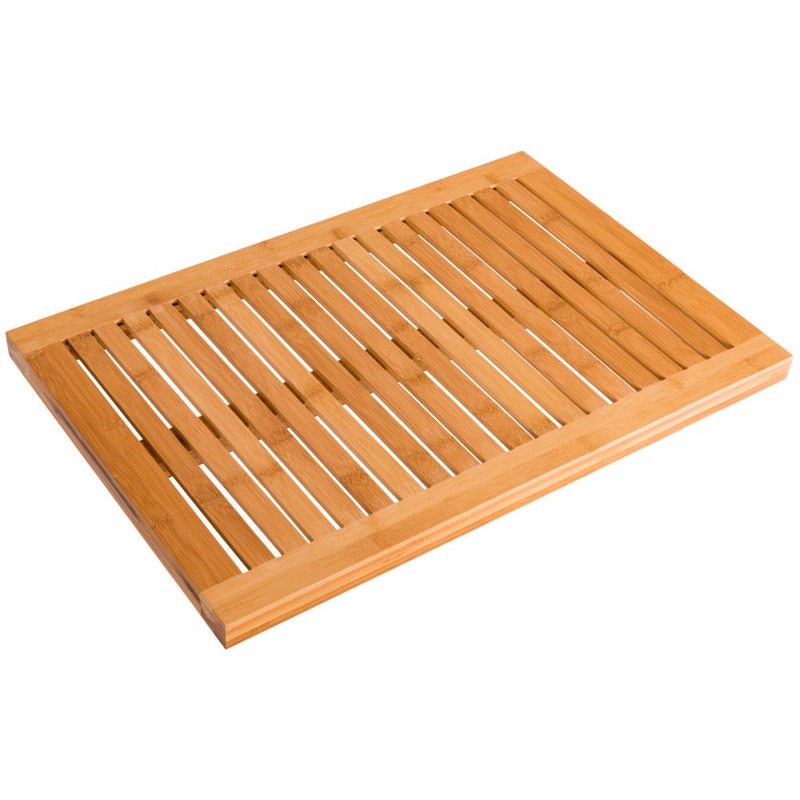 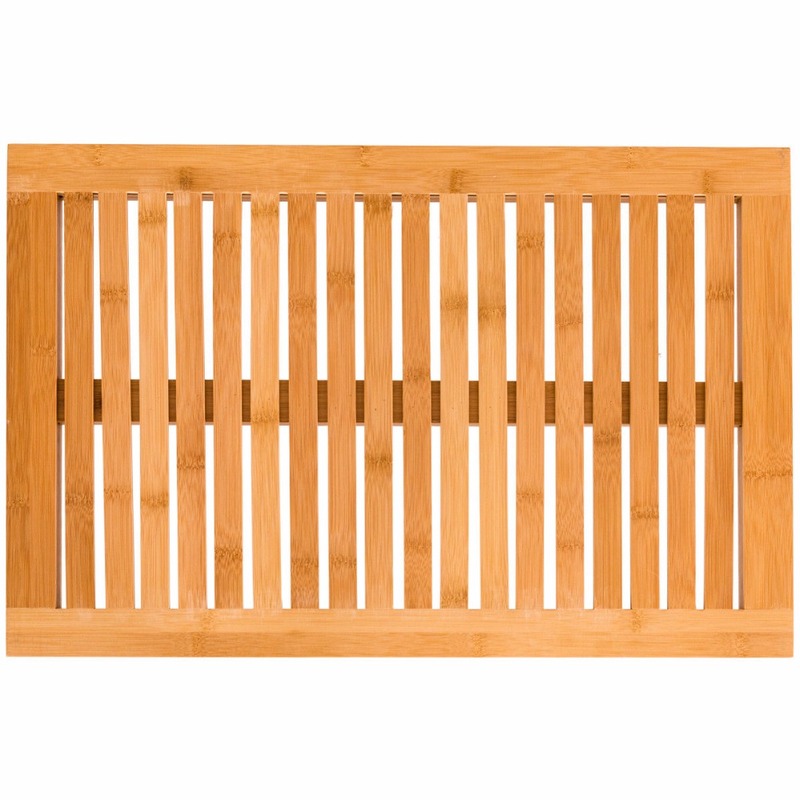 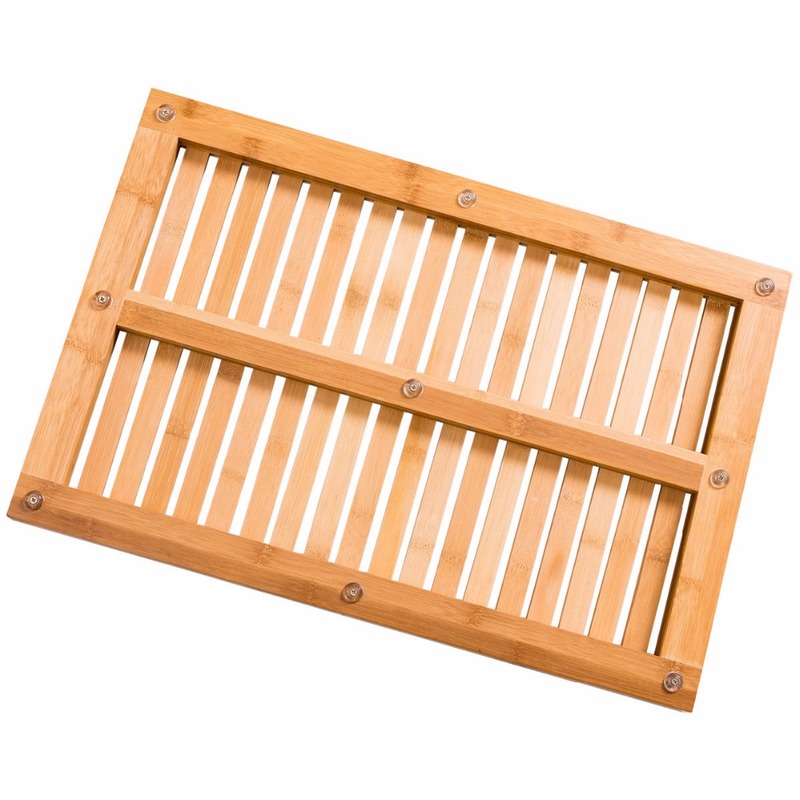 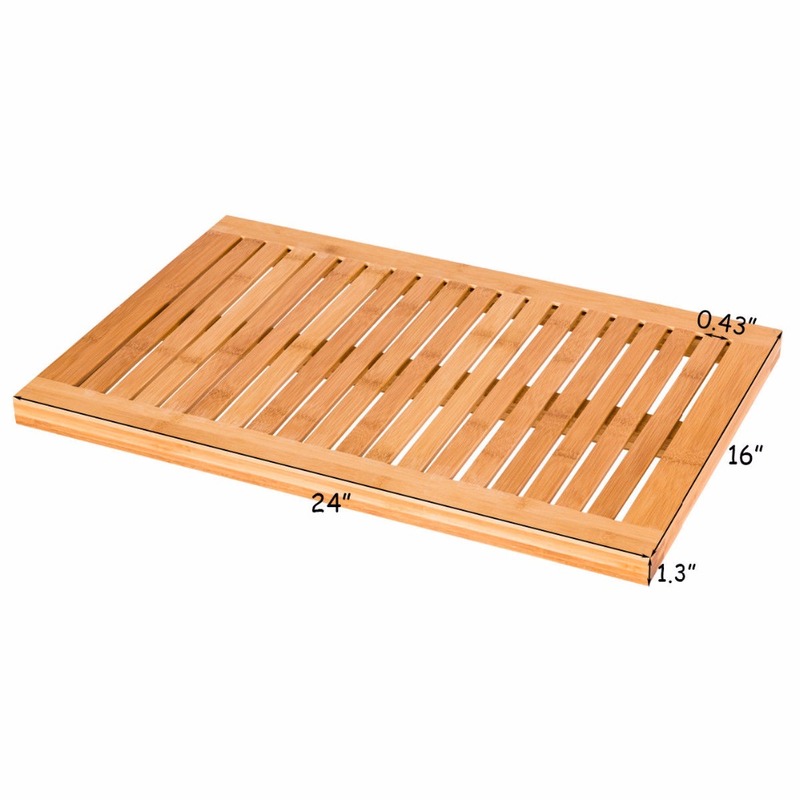 As for the package, this natural bamboo shower mat would be packed in the whole, and when unpack the box, the mat could be picked out and be feasible to the place you want. 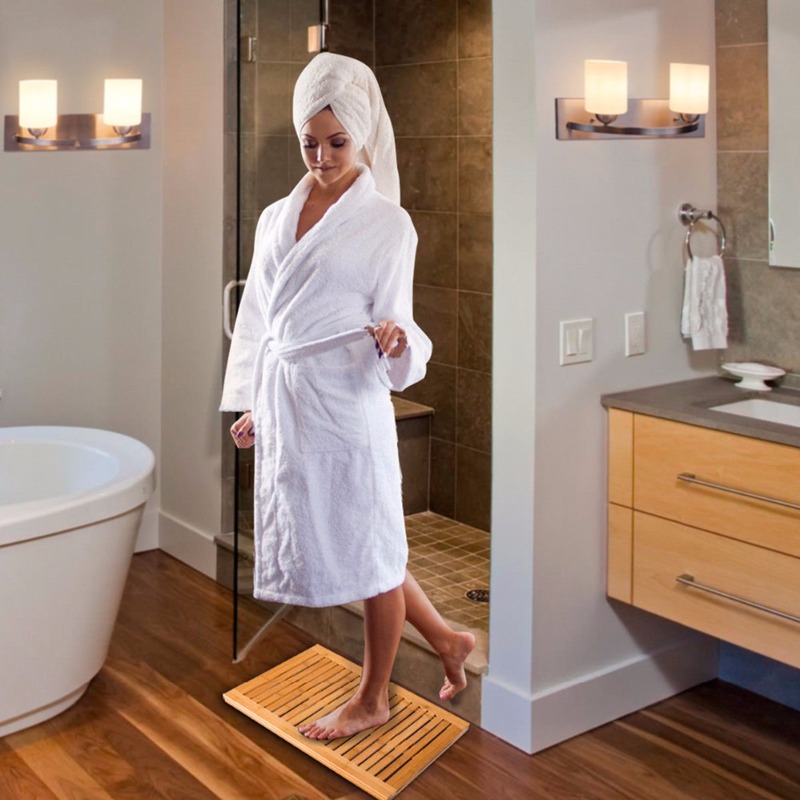 What a wonderful and practicable item, each home needs one to build up life quality!